Rodent droppings can be toxic to you and your family. Let us eliminate these pests and repair any damage. Let our professionals show you why we are one of the leading companies in the Portland area for crawl space restoration, repair and clearing of moisture, mold and mildew. A vapor barrier helps prevent and eliminate existing moisture from getting into your crawl space. Moisture creates mold and mildew hindering your home’s structural integrity. Not only do mold and mildew leave a foul smell, but they can also be detrimental to your home’s structural support. 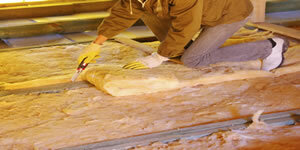 Have the professionals handle your insulation removal. 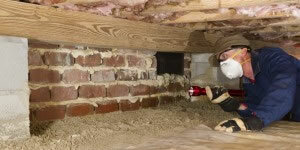 Crawl spaces are often the perfect shelter for unwanted rodents. This is especially dangerous because rodent droppings can be toxic to you and your family. We can help! 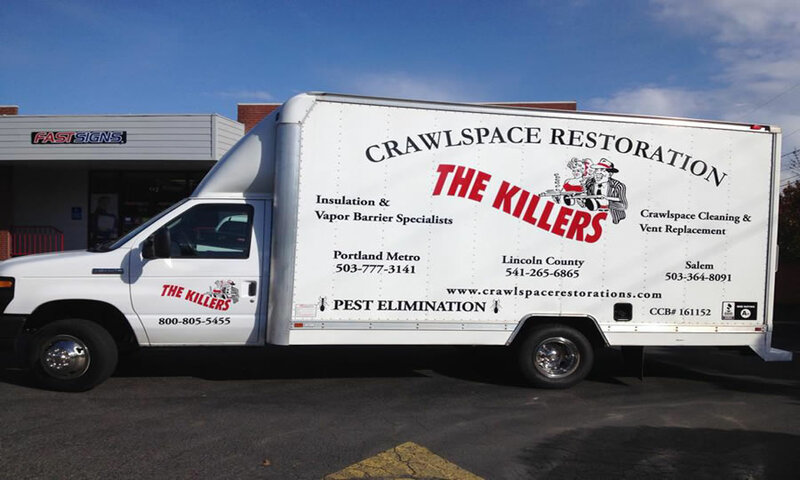 The Killers Crawl Space Restoration is the best choice for crawl space restoration in Portland. 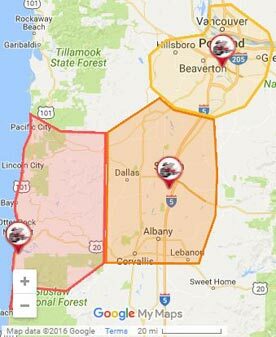 Our certified technicians specialize in making crawl spaces in the Rose City safe and energy efficient, free of mold, fungus, and clear of any potentially hazardous materials. We work hard to provide all rodent-damage repairs and install vapor barriers to protect the foundation and the interior of your home from the weather and harmful gases. Our team can perform a complete analysis of your home’s crawl space and make recommendations on how to better help you preserve its structural integrity. We cannot fully stress the importance of having your crawl space inspected by a licensed professional. Most homes are not properly equipped with the correct materials and could also be crawling with rodents. Both of these things can not only be harmful to the health of your family but can also hinder your home’s structural reliability. 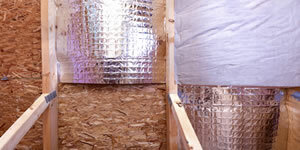 Restore your damaged crawl space or clear it of old, unsafe insulation safely and reliably. 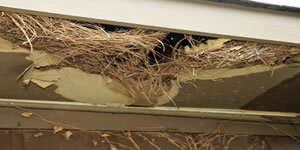 If there are signs of rodents, we will remove the population and install a vapor barrier to prevent any future damage. Call us today to learn more about The Killers Crawl Space Restoration in Portland and how we can help to make your home’s crawl space safe!